Gina was born and raised in Clarksdale, MS. She graduated from Delta State University where she received both her Bachelor’s degree and Master’s degree in Business Administration with a concentration in Finance. 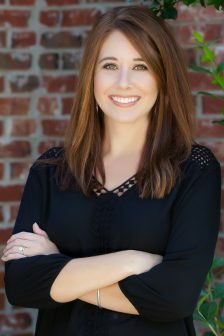 She moved to the Jackson Metro area in 2012 and after working for Southern Farm Bureau Life Insurance Company for five years, Gina decided to pursue a career in Real Estate full time. Gina’s main goal when working with clients is to make each transaction as smooth as possible from beginning to the end. She has a passion for helping people and loves the opportunity to work with new people. Being from the MS delta, Gina strongly believes in “small-town” service and knows the importance of building relationships. Gina and her husband, Paul, currently reside in Gluckstadt. In her free time, she enjoys traveling, spending time at their cabin, and anything outdoors. They are members of Pinelake church in Madison. Call Gina at 662-902-2498 or email her at Gina@HopperMS.com today and let her help you with your real estate needs!